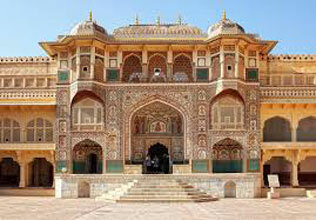 Welcome on arrival at Delhi Airport / Railway station and proceed for Jaipur. Jaipur the capital of Rajasthan still looks cradled and well protected. Jaipur takes its name from Maharaja Jai Singh, who in the early 1700s became the king of amber at the age of 13. 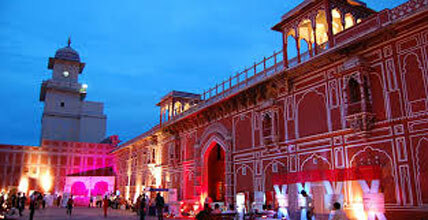 Thus giving it the name of 'the pink city' with pink and orange the dominant colors, the effect is magic at dusk. Upon arrival check in to hotel. Evening is free to explore the local markets of Jaipur. Overnight stay in Jaipur. 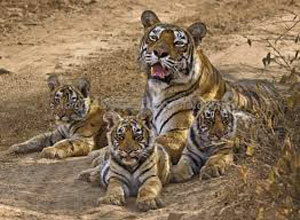 After breakfast, full day excursion to Ajmer & Pushkar located at 150 kms far away from Jaipur. 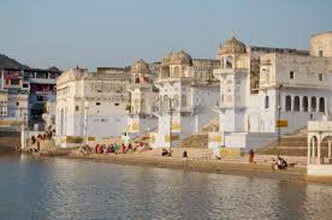 On arrival, Visit Ajmer-e-Sharief Dargah, Adhai-Din-Ka Jhonpara, Ana Sagar Lake & drive to Pushkar. There are more than 400 hundred temples in Pushkar but the main attraction being the temple of Lord Brahma, the only temple in India dedicated to Brahma & Pushkar Lake. In the evening return back to Jaipur. Overnight stay in Jaipur. After breakfast drive to Amber fort, The Fort is an excellent illustration of Rajput architecture, impressively situated on a hillside facing a lake, which reflects its walkways and walls. Here you mount an Elephant, to get to the top of the Fort. 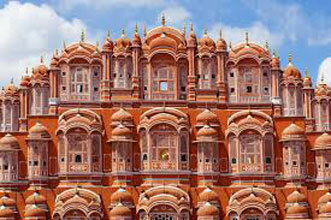 Returning to Jaipur, visit City Palace and the Hawa Mahal, the Palace of the Winds. Finally wind up your sightseeing by visiting the Observatory, Jantar Mantar. 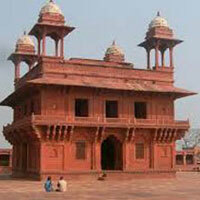 It was built by Maharaja Jai Singh in 1728. Jantar Mantar appears to be an inquisitive collection of sculptures but in fact each construction has a detailed purpose such as measuring the positions of stars, altitudes and azimuths, and calculating eclipses. Overnight stay in Jaipur. After breakfast, proceed to Agra. Agra is famous as being home to one of the Seven Wonders of the World-the Taj Mahal. 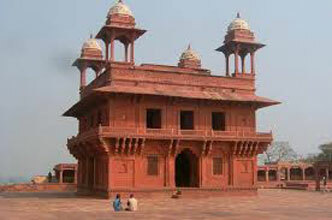 En route visit Fatehpur Sikri, which lies west of Agra. From here commence drive to Agra. On arrival check into the hotel. Evening is free to explore the local markets of Agra. Overnight stay in Agra. Early morning visit The Monument of Love – Taj Mahal After breakfast, visit Taj Mahal one of the seven wonders of the world surely the most extravagant expression of love ever created. 20,000 men labored for over 17 years to build this memorial to Shah Jahans beloved wife. [Note: Taj Mahal is closed on Friday] Visit Agra fort - the rusty and majestic red- sandstone fort of Agra stands on the banks of the river Yamuna and the construction was started by Emperor Akbar in 1566 & the Itmad-ud-Daulah Tomb. Evening return back to Delhi for your onward journey.